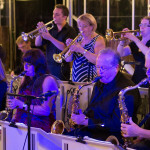 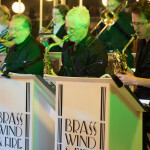 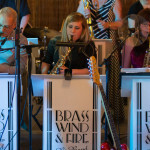 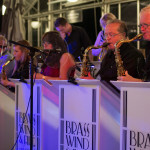 Mr & Mrs Wallwork were delighted with their evening celebrations saying “Our family’s thanks to Brass, Wind and Fire for providing us with such a great night’s entertainment. 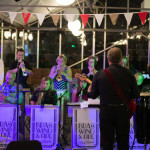 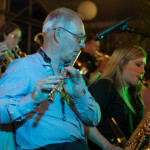 We were celebrating 2 recent family weddings and one 40 years ago so guests’ ages ranged from mid 20’s to mid 90’s but the band played such a wide cross section of music that everyone really enjoyed the evening and had a good time. 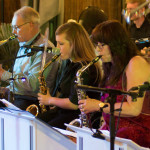 The first set of smooth numbers as our guests arrived set the scene perfectly and the second set of more up-tempo music had all generations on the dance floor. 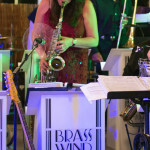 Thanks again for such a professional performance.